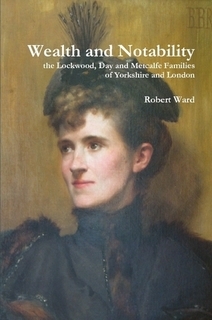 This book tells the story of an extraordinary group of families, the Lockwoods, the Days and the Metcalfes of Yorkshire and London, and their contingent of wealthy and notable people. Among the wealthiest was the boot blacking manufacturer Charles Day, who made the kind of fortune that would easily rank him alongside today’s richest rock stars. Perhaps the most notable, indeed noble, was Priscilla Cecilia Armytage-Moore who became the Countess of Annesley. But they are not alone. Other family members include influential architects such as Henry Lockwood the designer of Bradford Town Hall and the company town of Saltaire, leading lawyers such as solicitor general Sir Frank Lockwood, top businessmen among them Charles Armytage-Moore who founded a leading firm of stockbrokers and Sir Joseph Flawith Lockwood head of the EMI corporation, and famous actors including Margaret Lockwood, one of the best-loved British film actresses of her day. This books traces their roots and tells their stories. One interesting finding is that Margaret Lockwood had two additional half-siblings unknown to her biographer and obituary writers, although she clearly knew about them herself, she seems to have concealed their existence. - and books on computer assisted learning and language. Editor: Many thanks to Robert Ward for letting us know about his new book.